In 1913 the Women's Social & Political Union increased its campaign to destroy public and private property. The women responsible were often caught and once in prison they went on hunger-strike. Determined to avoid these women becoming martyrs, the government introduced the Prisoner's Temporary Discharge of Ill Health Act. Suffragettes were now allowed to go on hunger strike but as soon as they became ill they were released. Once the women had recovered, the police re-arrested them and returned them to prison where they completed their sentences. This successful means of dealing with hunger strikes became known as the Cat and Mouse Act. As Ethel Smyth pointed out: "Meanwhile things had been going on from bad to worse. The so-called 'Cat and Mouse' Act, of which the murderous, cowardly, pseudo-humane refinement is to my mind more revolting than any torture invented in the Middle Ages, was now in full swing. The authorities dared not let the women die, so would release them, sometimes half-dead, to be rearrested as soon as they were judged fit to serve the remainder of their sentence. Whereupon the whole hideous business would begin again, the idea being that by degrees bodies and wills would be broken past mending. How a group of civilized Christian men could lend themselves to this proceeding rather than perform a simple act of justice already fifty years overdue is inconceivable - but so it was." 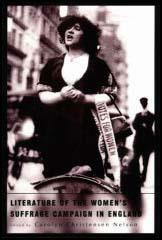 (1) In her book Unshackled, Christabel Pankhurst explained the introduction of the 'Cat and Mouse' Act. The Government prepared for their fight against Mrs. Pankhurst by introducing this new measure, framed with the purpose of making her serve, in spite of the hunger-strike, every single day of the long sentence that was surely awaiting her. (2) Annie Kenney experienced the Cat and Mouse Act for the first time in April 1912. She explained what happened in her autobiography, Memories of a Militant. When I recovered I was re-arrested. 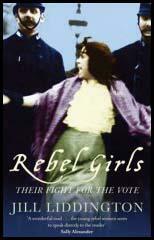 (3) In 1912 Elizabeth Robins was a strong supporter of the militant suffragettes. Octavia Wilberforce revealed in her autobiography that the authorities suspected that Robins was using her house, Backsettown in Henfield, as a hiding place for suffragettes wanted by the police. Lady Brassey and H. G. Wells also visited her. My family was critical of this visit. They did not know that he had invited himself, that he had stayed up till past midnight arguing with Elizabeth Robins, who disapproved of his affair with the daughter of one of her friends. I have often reflected that during those two months in Holloway for the first and last time of my life I was in good society. Think of it! more than a hundred women parked together, old and young, rich and poor, strong and delicate, one and all divorced from any thought of self, careless as to consequences, forgetful of everything save the idea for which they had faced imprisonment. Among them were elderly gentlewomen - Mrs Brackenbury was seventy-eight! - unfit for the rigours of prison life; young professional women who were deliberately snapping in two a promising professional career, made possible by God knows what heavy sacrifices; countless poor women of the working class, nurses, typists, shop-girls and the like, who had good reason to doubt whether their employers would ever take them back again. But of that they never spoke, perhaps never even thought, in Holloway. No wonder if some of us look back on that time with thankfulness and with awe, for where else on earth could we have scraped acquaintance with the Spirit that in those days had pitched her tent in Holloway Prison? Meanwhile things had been going on from bad to worse. The so-called 'Cat and Mouse' Act, of which the murderous, cowardly, pseudo-humane refinement is to my mind more revolting than any torture invented in the Middle Ages, was now in full swing. The authorities dared not let the women die, so would release them, sometimes half-dead, to be rearrested as soon as they were judged fit to serve the remainder of their sentence. Whereupon the whole hideous business would begin again, the idea being that by degrees bodies and wills would be broken past mending. How a group of civilized Christian men could lend themselves to this proceeding rather than perform a simple act of justice already fifty years overdue is inconceivable - but so it was. In April 1913 Mrs Pankhurst was once more arrested, and embarked on a hunger and thirst strike. Years afterwards she found among old papers, and gave me, two bescribbled little cards dated 9 April 1913, written on the ninth day of this ordeal which she believed she would not survive. The matron had mercifully put her in the charge of a wardress she was much attached to, and to her these farewell lines were secretly confided, to be posted to me in case of her death. When hunger-striking she always refused with such terrible violence - mainly I think from personal fastidiousness and sense of dignity - to be forcibly fed, that no doctor dared attempt it, and in this little scrawl her handwriting is, if anything, more legible than usual, as if to show me her will was unbroken. She begs that in case of her death the old invalid mother of her dear wardress, Miss Harper, may be looked after. The next day she was let out and the wardress gave her back the letter; after which she forgot all about it, including her intention of destroying it; and not till nine years afterwards did I even know it had been written! The whole incident is typical of this strange woman, who lived less in the past and more wholeheartedly in the present and future than any one I have ever known.